When teachers are asked “What is your biggest challenge?” A common response is TIME; Time to learn new strategies, time to plan, time to make improvements, time to have meaningful collaboration with colleagues, time to practice new learning, time to just talk with fellow educators and reflect. SPACE is, in my opinion, another factor. Teachers are in their classrooms most of the day and even when they have a planning time they are generally isolated from other educators in the building whose schedule is likely opposite of theirs. Common planning is difficult to achieve, particularly because we have not changed the basic infrastructure of how schools are run. Changing building schedules and reworking the use of physical spaces could certainly benefit all stakeholders but for now I will make an alternative suggestion. Leverage technology for professional learning and collaboration. A variety of online spaces are available and used by educators to collaborate, share, and learn. Educators are meeting and learning together in MMORPGs, virtual worlds, webinars, chat spaces, video conferencing, and forums. Many of these meetings are synchronous, providing opportunity for immediate exchange and feedback. Probably one of the most beneficial aspects of these meet-ups is the opportunity to communicate and collaborate with practitioners in different time zones. Educators need not be limited to working with colleagues in their departments, buildings or districts (often difficult enough), but literally have the entire world of educators at their fingertips. Time zone issues can be a challenge, but those with a similar focus seem to be able to adjust their internal clocks even to meet with someone on the other side of the planet. Educators representing 6 time zones attend a webinar recorded on Google Hangout, broadcast through Youtube while sitting in the SIGVE Diner in a Virtual World. Audio was available as well as text chat. My professional learning has been impacted by synchronous events online. My membership in two teacher guilds (Cognitive Dissonance and Inevitable Betrayal) on WoW has given me the opportunity to experience gaming with fellow educators and learn how this particular game is used in the K-12 and higher education arena. I was a little reticent to even try the game as the idea of “warcraft” was something of a deterrent at first. The educators who convinced me otherwise were established in virtual worlds and demonstrated how MMORPGs were an extension of this type of learning. The guild chat in these two groups ultimately returns to work with students and profession conversation. 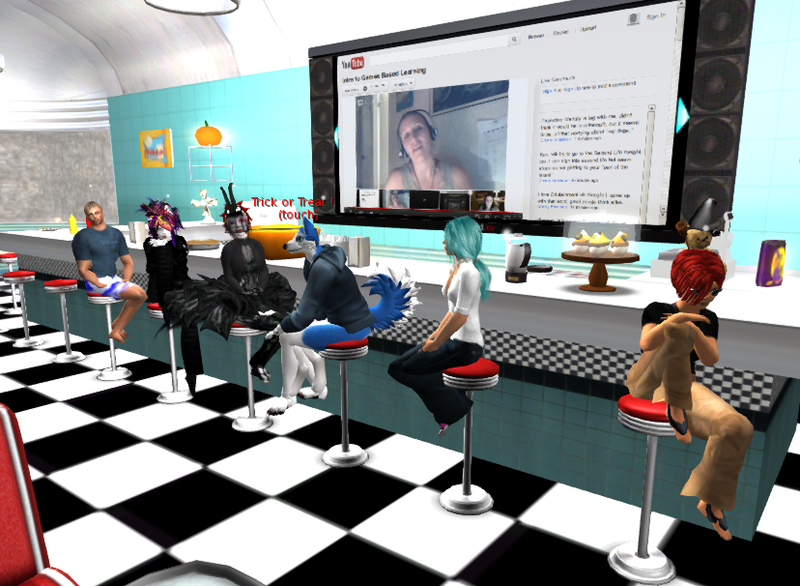 Virtual Worlds provide a space that gives attendees a sense of “being there”. The “there” can be a place of fiction or something more traditional, like the SIGVE Diner on Second Life. Meeting up with fellow educators on Skype or Google Hangout allows for multiple layers of sharing. These applications provide for voice, text chat, screen sharing, and video. 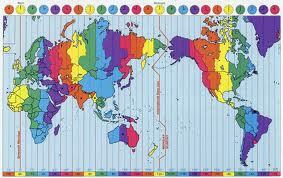 The possibilities are increasing and evolving making the issue of time and space a non-issue.